The work week is almost over, South Florida – and NBC 6 has the top stories you need to know for Thursday. Weather wise, a slightly milder morning will give way to a warm afternoon with isolated showers in the inland parts of the area with highs near 90 degrees. Thursday marked the one year anniversary of the Category 4 storm hit the island, costing an estimated $100 billion in damages while keeping thousands of residents without power until just recently – with thousands seeking refuge in Florida while dealing with family concerns back home. NBC 6’s Sheli Muniz is in San Juan to get a firsthand look at the continued recovery – look for her reports all day. The 26-year-old was taken into custody after officials say he boarded the plane at the airport in Melbourne, just southeast of Orlando, before being taken into custody. The incident caused a closure for close to two hours. Officers say a case of road rage possibly caused the incident Wednesday near NW 7th Avenue and 36th Street after the victim was shot at and followed by a large group. Anyone with information is asked to call Miami Police or Miami-Dade CrimeStoppers. Thursday is one delicious day – and plenty of places are offering ways for you to celebrate. Pizza Hut is offering a buy one, get one deal -- buy a large pizza and get a medium for just $1 with the code "pepperoni 2018". Domino's is celebrating all weekend with a carry-out special, offering large two-topping pizzas for $5. 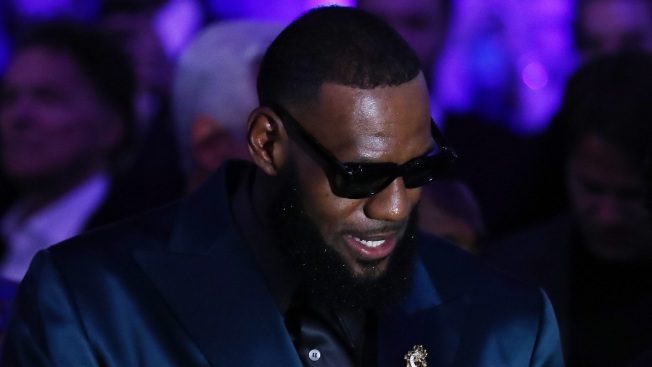 The 1996 film is one of the most iconic of this generation – and it’s getting a new look with LeBron James taking over the main role. Now, the sequel is getting even more star power as Ryan Coogler, the director of the record shattering “Black Panther”, has signed on.